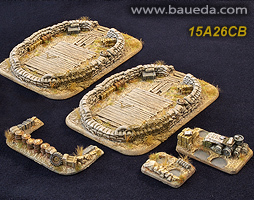 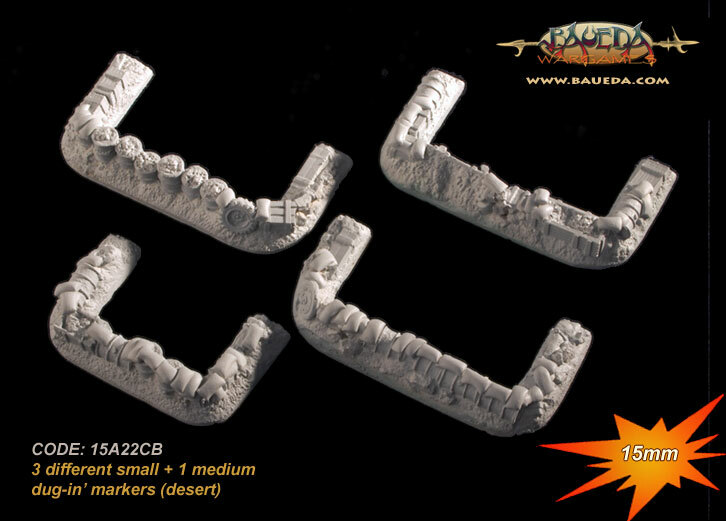 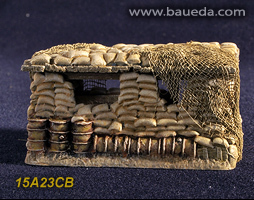 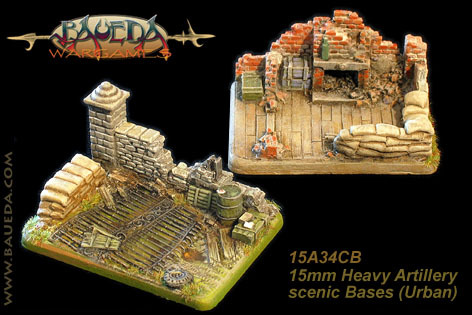 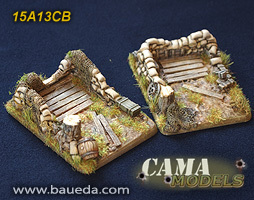 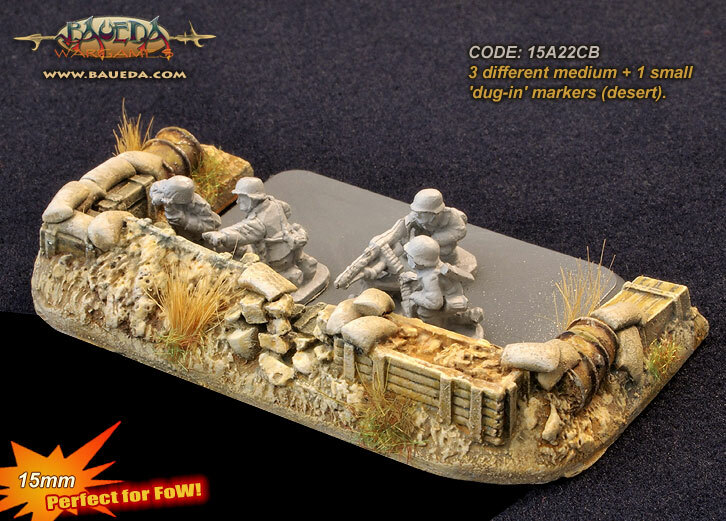 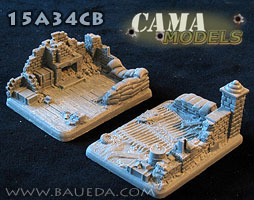 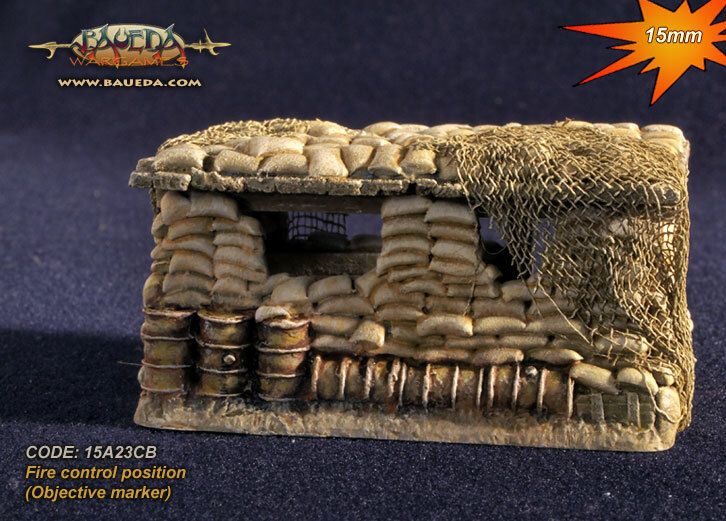 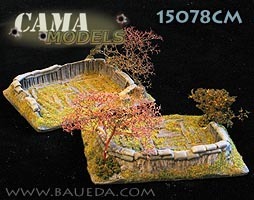 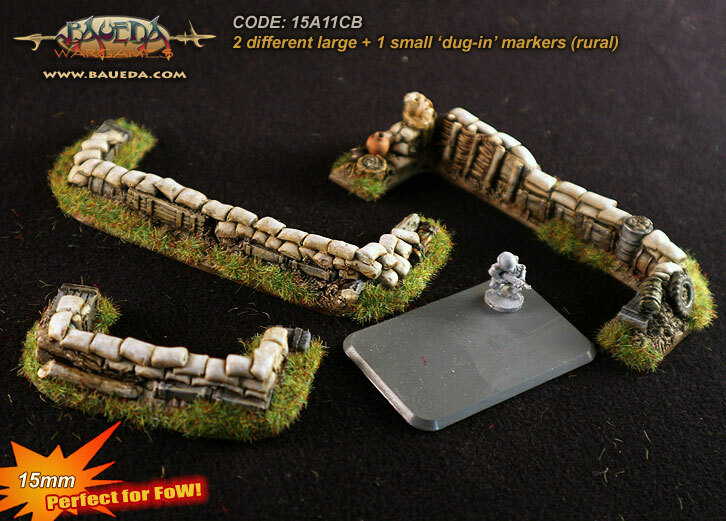 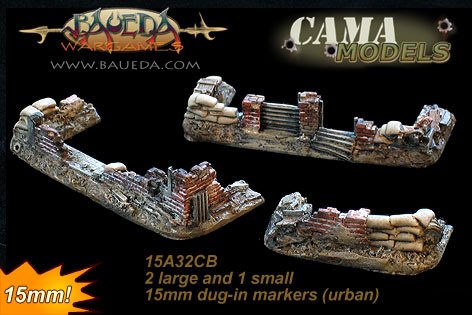 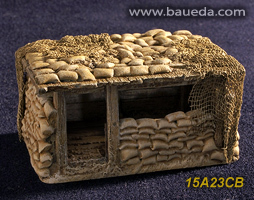 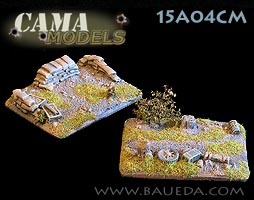 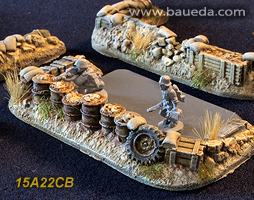 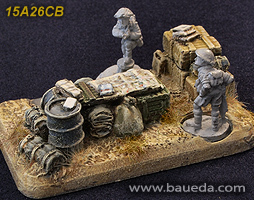 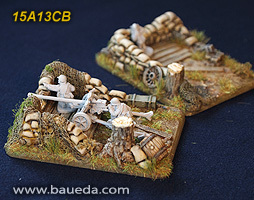 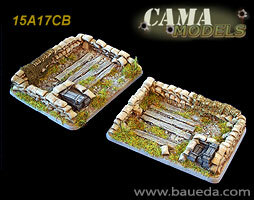 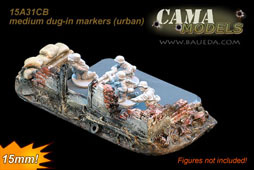 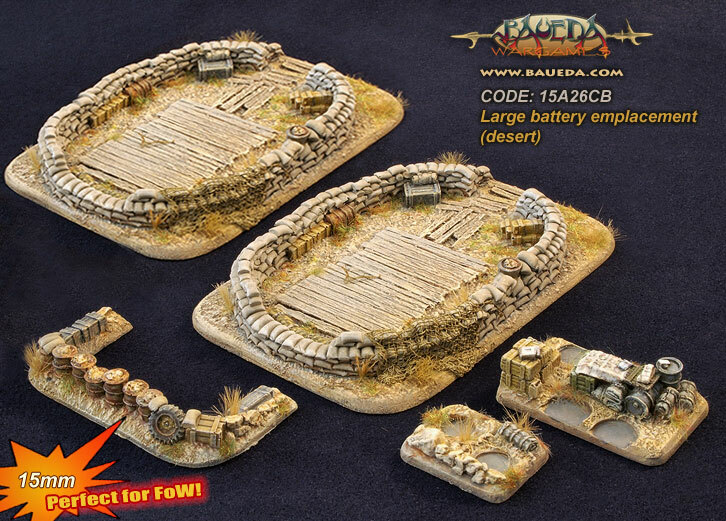 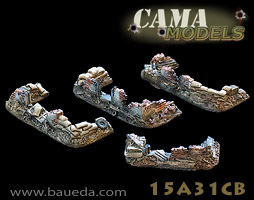 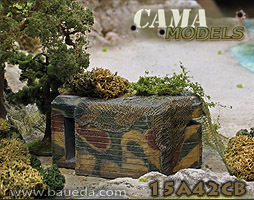 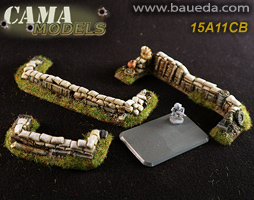 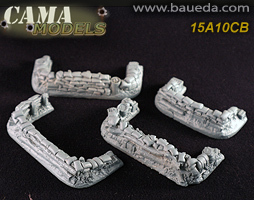 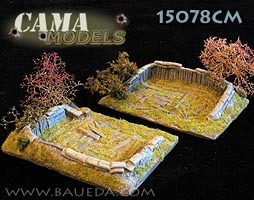 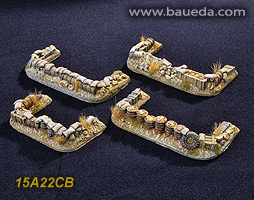 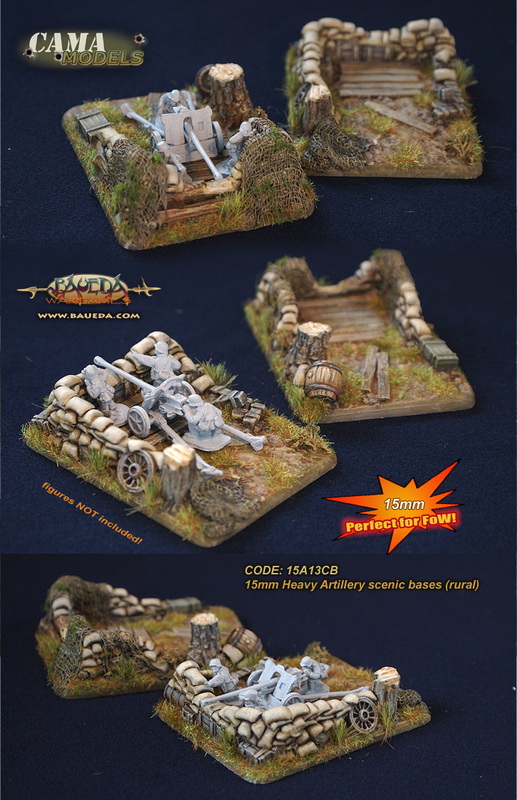 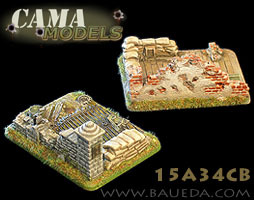 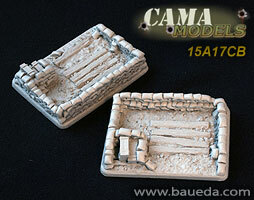 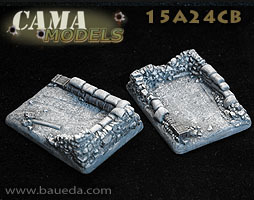 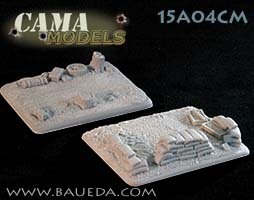 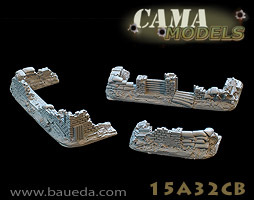 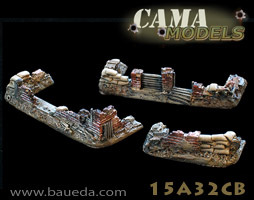 15mm WWII all Heavy Artillery scenic bases - compatible with Flames of War AVAILABLE NOW! 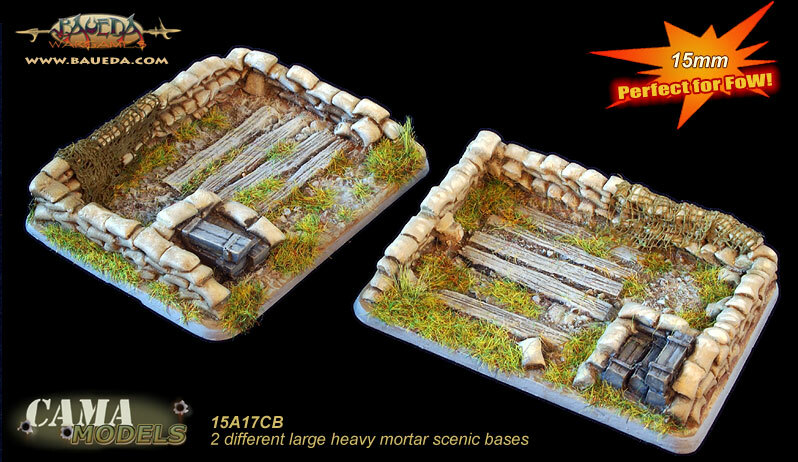 2 different Heavy Artillery scenic bases (urban) each 50mm wide by 65mm deep (2"x 21/2"). 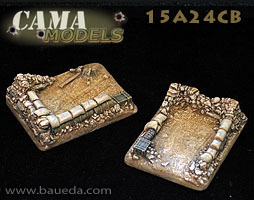 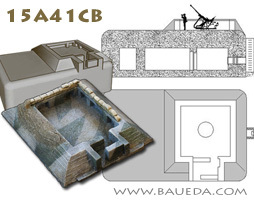 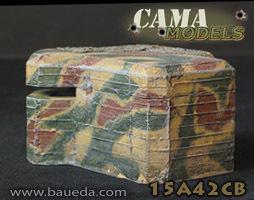 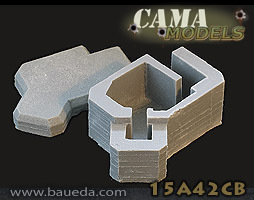 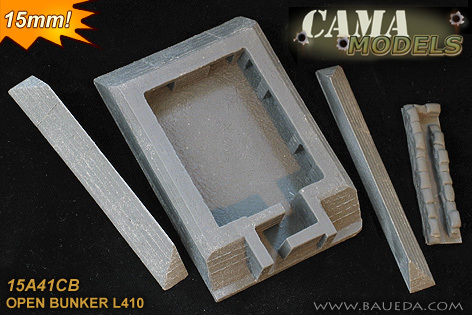 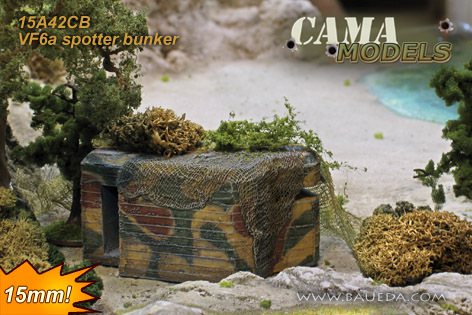 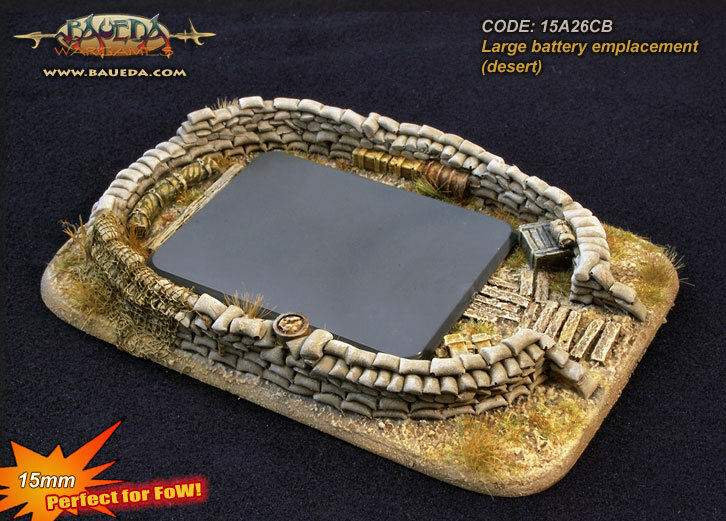 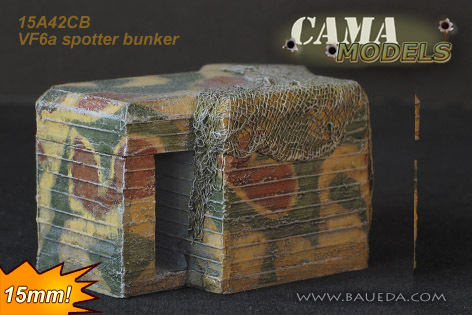 Cast in tough polyurethane resin and designed for any large artillery piece, these two bases are each the same size of a large FoW base and will provide you with a very realistic gun emplacement that is perfectly compatible with Flames of War rules. 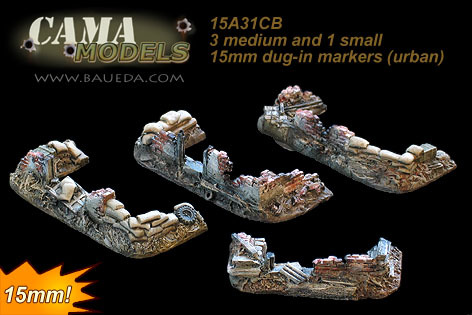 Just add Big Guns! 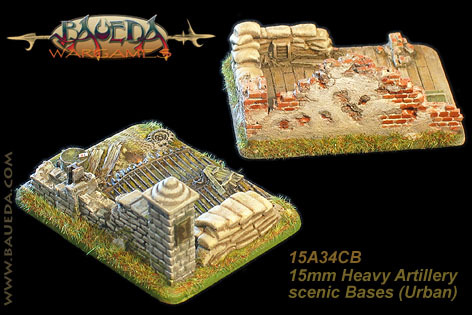 You can also use them as bases and make your own vignette, add some spare figures and maybe some of our battlefield accessories and they will be ready to be used as a game objective! 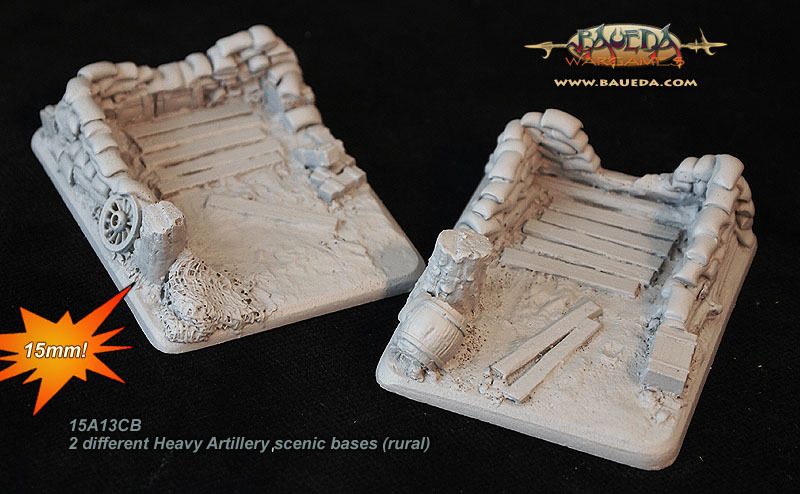 2 different Heavy Artillery scenic bases (rural) each 50mm wide by 65mm deep (2"x 21/2"). 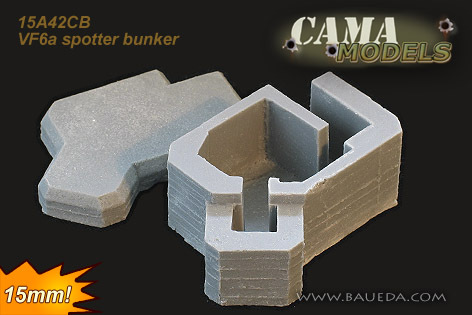 Cast in tough polyurethane resin and designed specifically to hold a German 88mm gun and its trailer, these two bases are each the same size of a large FoW base and will provide you with a very realistic gun emplacement that is perfectly compatible with Flames of War rules. 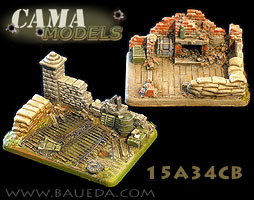 To order, the best way is to and tell us what you'd like and the delivery address. 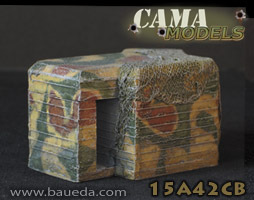 We'll check what we have in stock, calculate the total including exact postage for you, give you an approximate delivery date and send you a money request via paypal, so all you'll have to do at that point will be to click "accept" if you are happy with it. 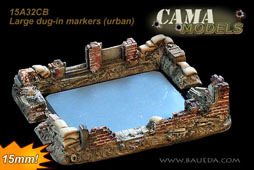 item has been discontinued and it is currently being redesigned. 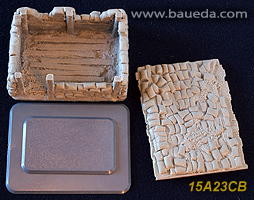 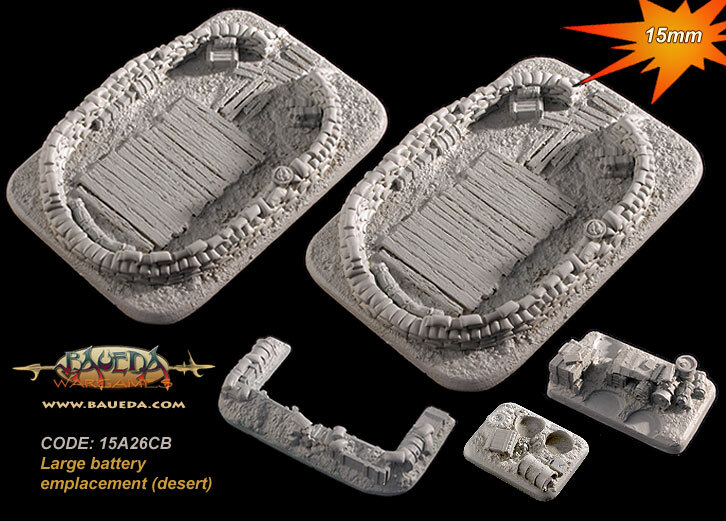 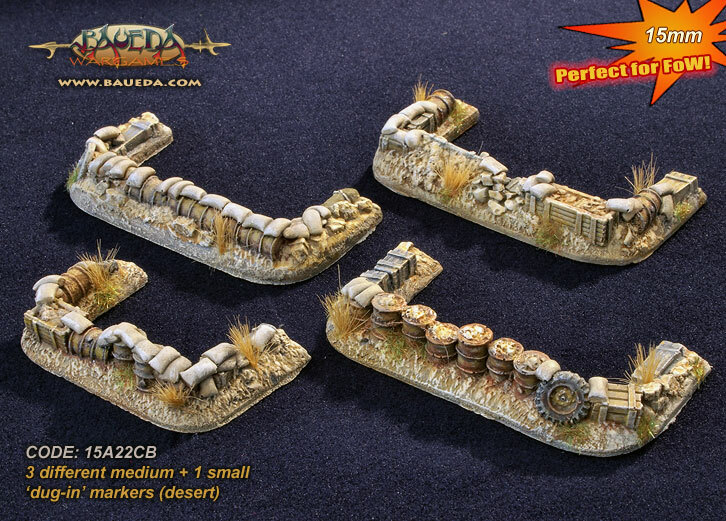 2 different Heavy Artillery scenic bases (desert) each 50mm wide by 65mm deep (2"x 21/2"). 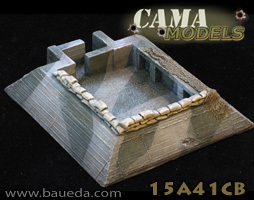 Perfect also to use as hull down markers these are the typical entrenchments built in North Africa using local stone that was so effective both as protection and as camouflage, making these positions as hard to see as to defeat. 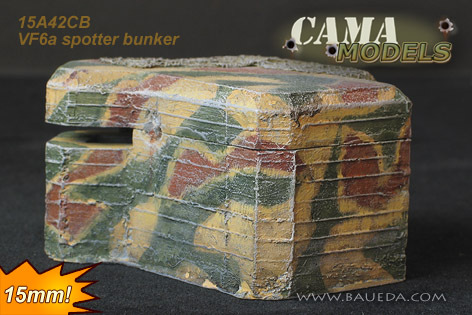 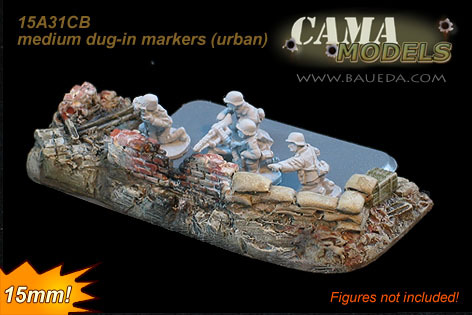 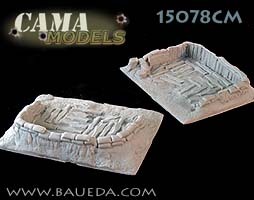 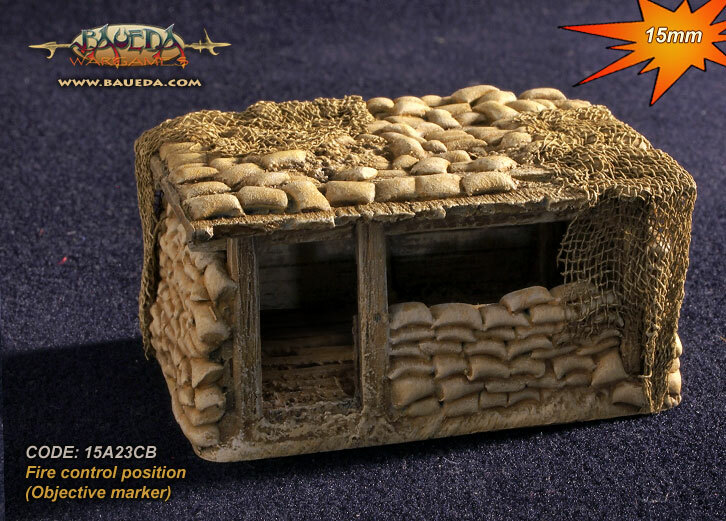 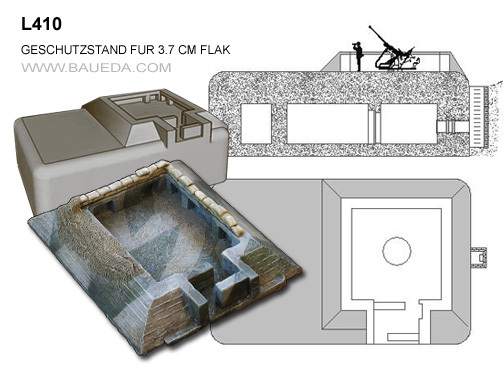 Cast in tough polyurethane resin and designed from period picture of the real thing, these two bases are each the same size of a large FoW base and will provide you with a very realistic gun emplacement that is perfectly compatible with Flames of War rules. 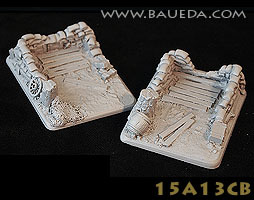 2 different large heavy mortar or rocket battery scenic bases, each 50mm wide by 65mm deep (2"x 21/2"). 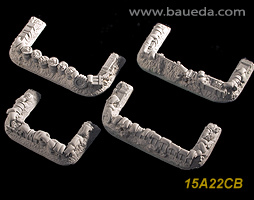 Code: 15078CM HURRY! 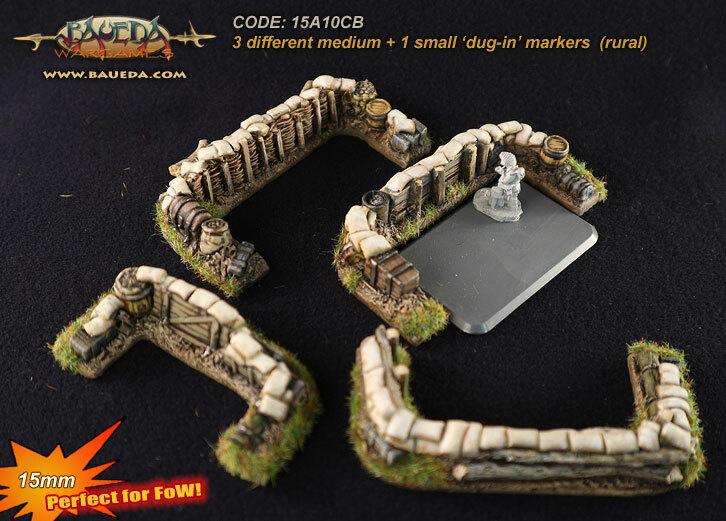 ONLY A FEW LEFT! 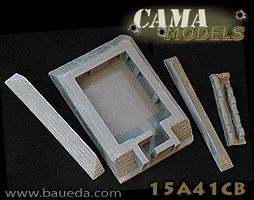 These very detailed reproduction are perfect for the largest weapon emplacement and are specifically designed so that each can contain large guns like German 88mm or their train in any configuration. 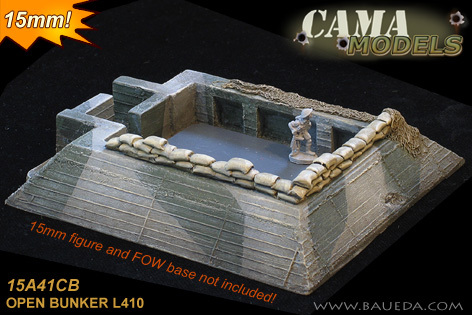 The space inside is large enough to accomodate one Flames of War large base each. 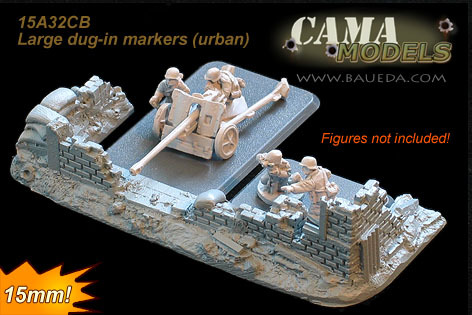 Like all other models in this range these are made of tough POLYURETHANE. 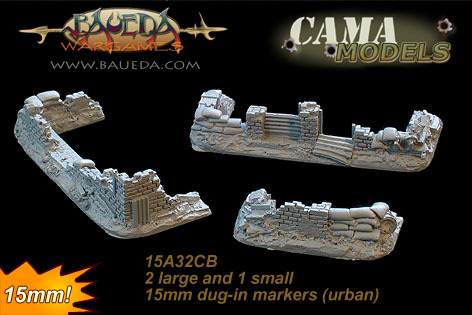 Overall size is 103x75mm and the height is 21mm.